Referral Marketing is perhaps the only guaranteed ROI customer acquisition channel you'll find. And at SalesCamp we know what it takes to build, automate, and scale a referral program. 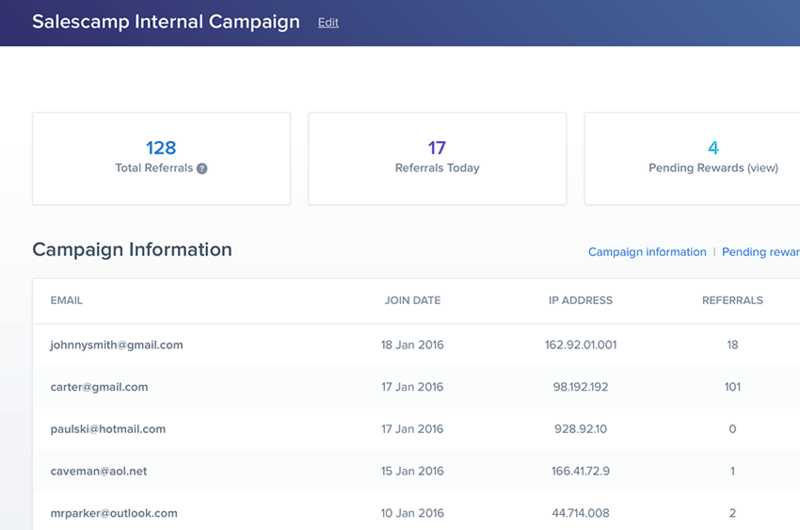 We give you the tools you need to create your own referral campaigns. Whether you're looking for Referral or Affiliate marketing campaigns for your business we've got you covered. Our Campaign Wizard lets you easily build a referral program custom designed for your business. Whether you want to create singe or dual sided rewards for your Referrers we've got you covered. You can even give Referrers and your new customers different rewards. Give your brand ambassadors the reward they deserve. Using our Stripe integration grant a % of all sales, or a fixed amount per transaction. 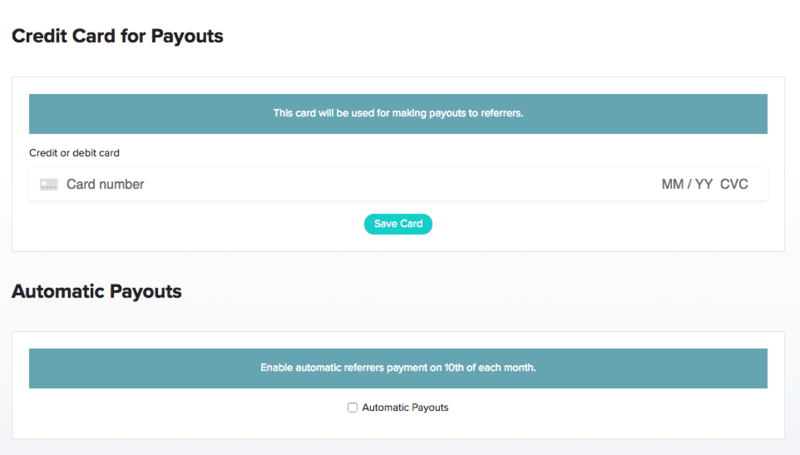 Subscription services and SaaS apps can grant recurring commissions to Referrers every month. 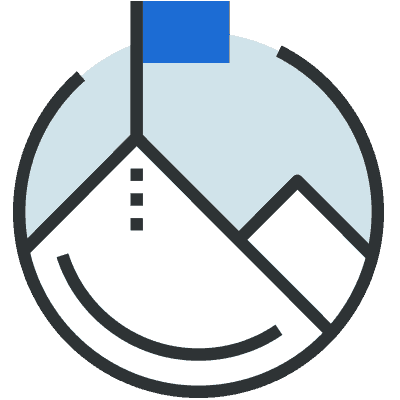 We've built a world class integration to connect your business' Stripe account to your referral campaigns. So anytime you have a one-time or subscription charge that is a result of a referral campaign your Referrers will be automatically rewarded. Truly a referral program on autopilot. Each of your brand ambassadors will get access to their own Referrer Dashboard. 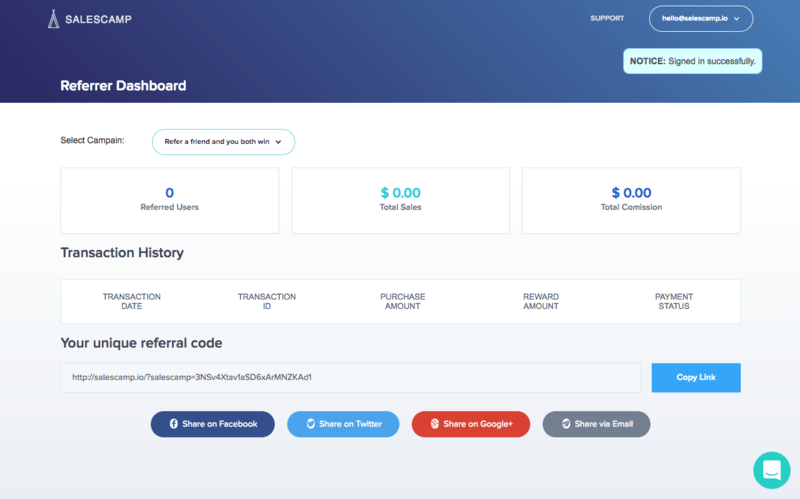 Here they can see their pending and fulfilled rewards, get access to their referral links, and easy access to social sharing on Facebook, Twitter, and on email. 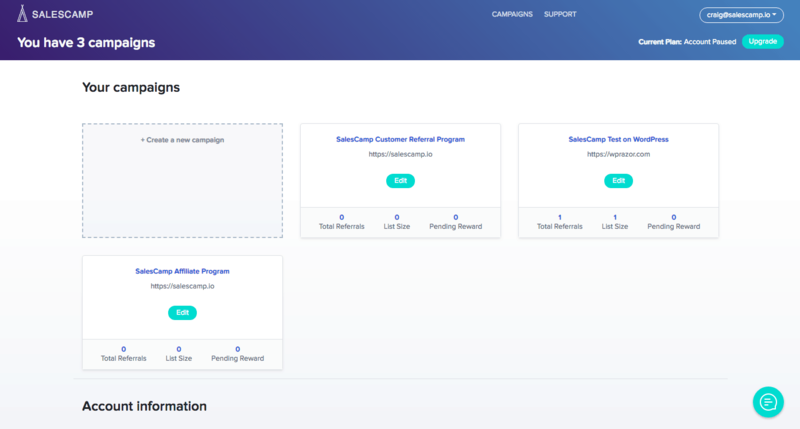 SalesCamp's in depth analytics let you see what's working in your referral campaigns, and where you have room for optimization. Fulfill rewards right from your SalesCamp dashboard or export to send to your payment provider of choice. Pay your referrers directly from your credit or debit card to their bank account in more than 25 countries. With options for fully automated or batch payouts we give you full control over how and when your referrers are paid.